Last week a large fire ravaged the flea market at Savalalo in Apia, Samoa. The entire building was destroyed and with it the livelihood of many vendors and their families. The maketi (market) was a local landmark and an important part of my experience of Samoa as a visitor and tourist. It was also a site with a connection to Te Papa. I used to travel to Samoa regularly in 1990s and into the early 2000s on personal trips – mainly to visit family. I’d try to get away once a year, saving up for the airfare and going for a week or two. A memorable part of every visit was dropping in on the maketi in downtown Apia. It was a colourful maze of narrow alley ways squeezed between a never ending procession of stalls. 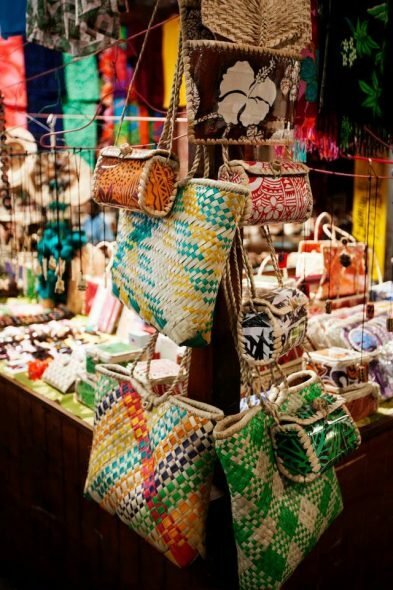 There were rows of printed textiles, t-shirts and used clothing draped from floor to ceiling; carvings, kava bowls, personalised combs and bracelets covering the tables. 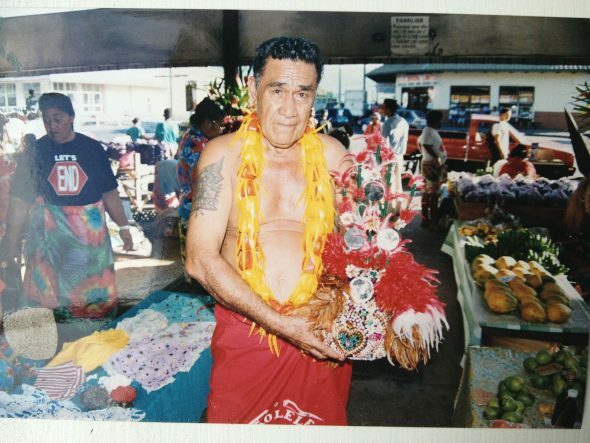 In those days, before the market at Fugalei was built, there was fresh produce at the markets perimeter, and food stands selling taro, pawpaw and bongo cheese snacks. The first time I visited Samoa with my brother we’d always stop by in the morning for a second breakfast, and buy the compulsory condensating plastic bag of hot panikeke costing about 10 sene each. It was easy to see that the market was an important economic hub for Samoa, a space for small businesses to ply their trade and sell their wares. It was where crafts people and other vendors could secure much needed cash, to pay for school fees, cultural obligations and the goods and services of an increasingly urban lifestyle. The maketi was a social space where people met their friends, had a meal, and shared a cigarette or gossip. 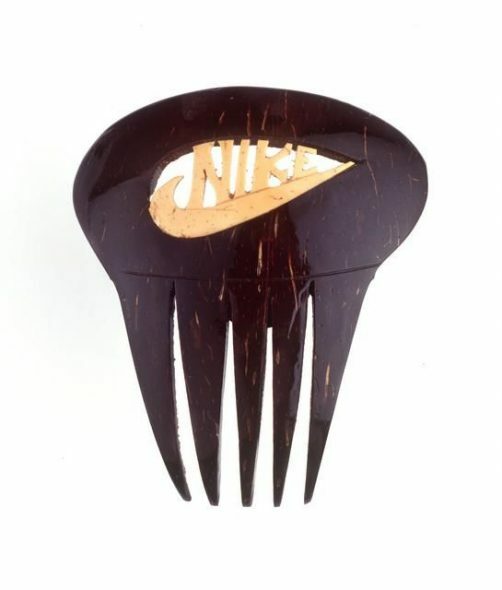 In the 1990’s I recall a kava bowl (always full) that was more social than ceremonial, with a few older men sipping the day away and flicking flies with their fans. The maketi could also be a place of hardship and struggle, conflict and disagreement. 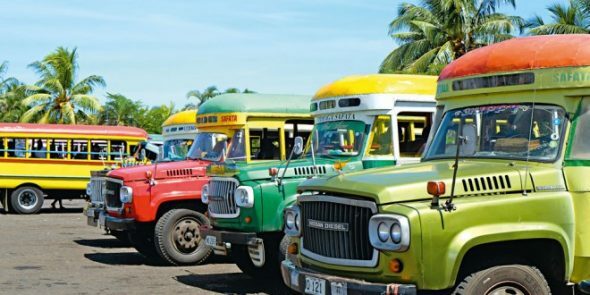 The maketi was where the rural and the urban came together, a departure and arrival point for Samoa’s famous buses filled with people and products. They would line up in the nearby terminal with their booming sound systems and racing stripes, offloading and picking up passengers, maintaining an important link between the town and the villages. The maketi was where the local and global converged. It was a destination for tourists, some of them palagi, but many of them Samoans born overseas. At the maketi they could find a souvenir or gift and take a little bit of Samoa home with them. Te Papa’s connection to the maketi is through its collections. Over the years we have made some wonderful finds among the stalls. In 1994, on one of my trips to Samoa, I thought I’d look out on the museum’s behalf for items that would help improve our representation of Samoan culture and society. One morning I was navigating my way among the masses of merchandise on display, when right in the middle of it all I spotted a tuiga (Samoan ceremonial headdress). It was prominently placed, almost on a pedestal; it was a focal point, perhaps a novelty, among all the maketi’s distractions. I spoke to the maketi manager, acting as agent for the maker, who said he hadn’t seen a tuiga for sale in a long time. Matalena Mauga Sefo, a 70 year old woman from Lotofaga village in Aleipata, made this example. 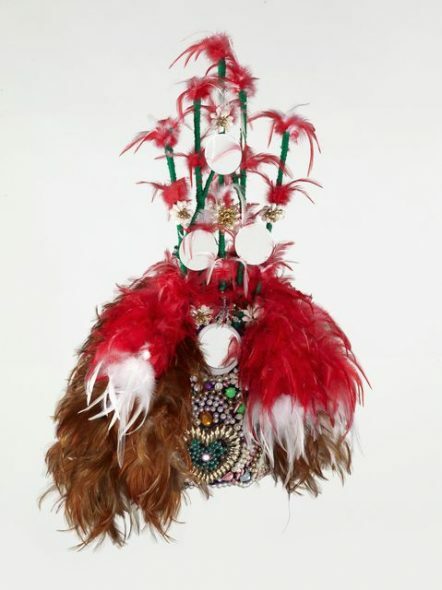 It was a contemporary version of an old style tuiga decorated with plastic beads, several small round mirrors and feathers. I was keen to buy it. We had a short negotiation about the price but it was such an event that when the purchase was finalised, the public address system announced that “…a ‘young boy’ from New Zealand has bought the tuiga!” Almost the entire marketplace cheered with applause. It was one of those “…am I on candid camera?” moments. My one regret is that I never met the maker Matalena Mauga Sefo. However, I am grateful that we were able to acquire our first tuiga and represent some of her work in the museum. The destruction of the maketi will no doubt disrupt the pattern of life in Upolu for many months to come. It will impact many people. It’s sad to see such an important site disappear so suddenly – a place that connected people with people, city with village and Samoa with the outside world. We wish the people of Apia a speedy rebuild and recovery.